Where were you on April 27, 2011? If you don’t live in Alabama, you probably have no idea where you were. But, in the south, the memories are clear as day. One year ago today, I was in Pell City covering a story on a woman who lost her life in a trailer park. There was a line of storms that swept through our state in the early morning hours, and Pell City was one of the places that took a direct hit. The woman had three small children. She was hunkered down in her bedroom, covering her children. A massive tree snapped and fell on their home. Her three children survived, she did not. Little did I know, she was one of hundreds, that would lose their life on that dreadful day. I worked on my story at a nearby fast food restaurant that had WiFi. I was trying to work as fast as possible to FTP my story back to the station, so they could put it on-air. I asked the restaurant manager if I could flip on the old t.v. in the back of the dinning area… when I saw it. Our meteorologist, Mark Prater, standing on the green screen. 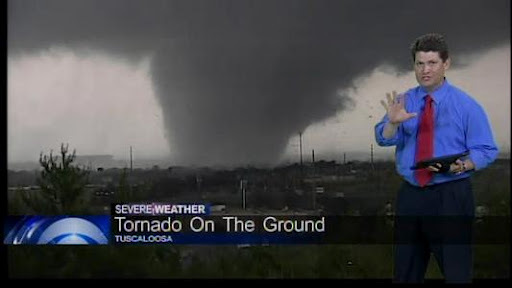 Behind him, the largest tornado I had ever seen in my life. Something you see in movies. At first, I thought it was old footage, or a YouTube video… when I noticed the Live bug. LIVE! This tornado was ripping through our state on LIVE television. It was in Tuscaloosa at the time. I immediately was sick. I was scared. I tried not to cry, because the other people in the restaurant were just as shocked as I was. I had a CBS42 shirt on, so people were asking me questions. Is that coming here? Are we safe? I had no idea. A million thoughts ran through my mind… but one thought, I couldn’t shake. People were dying. My neighbors. People, I may know. The elderly, children, pets. Tornadoes are not prejudice. They have no claim over age, race, or gender. They don’t pick and choose which neighborhood to hit, and which to spare. Hundreds of people were dying, and thousands were losing everything. April 27th, 2011, is a day that will forever be engraved in the minds and hearts of Alabamians. 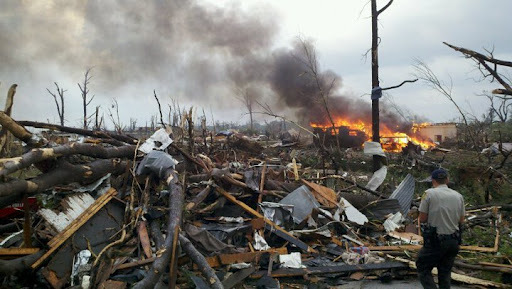 Massive tornadoes swept through our state, cutting a giant swath through the landscape. The raw emotion from that deadly day are still so vivid. 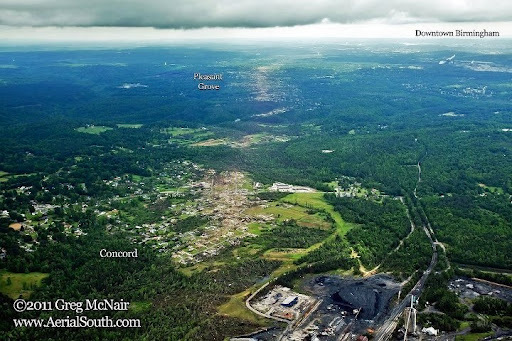 I went up in a chopper on April 28th, to survey the damage. I was in the field, attempting to get first hand testimony to what it was like to survive an EF4 or 5 tornado. I met hundreds of people who lost loved ones, lost homes, lost personal items, pictures….memories. Every single person I met in the days that followed, were just thankful to be alive. Everyone looked at life, differently. Watching a community, an entire state, rally around one another is humbling. I had always loved my job, and living in Birmingham… but after the April tornadoes, I realized I never wanted to leave. I am proud to call Alabama home. One year later… Alabama continues to stay strong and rebuild. 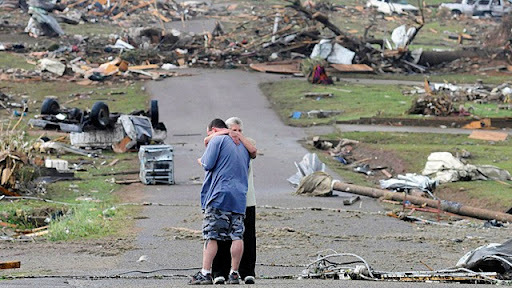 But, there is a long way to go… please continue to pray for those affected by the storms.